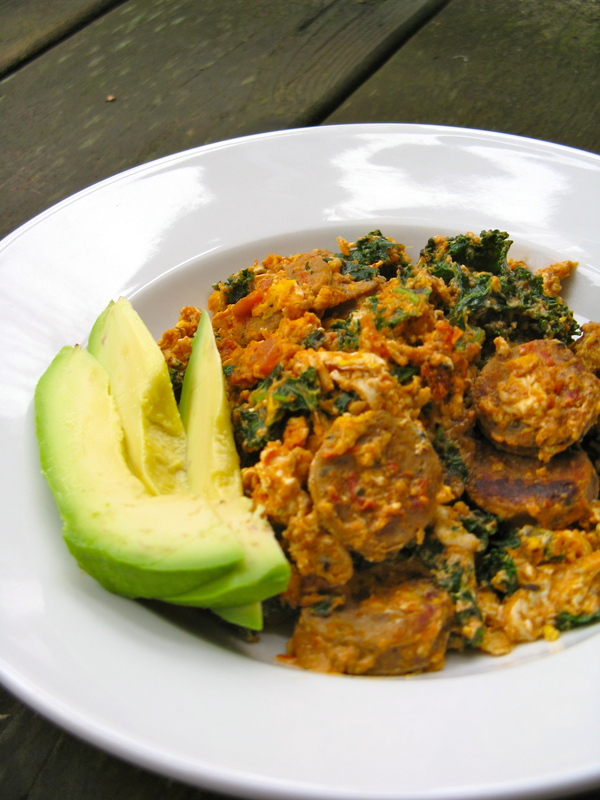 The other day, I whipped up this little single-serve Italian sausage scramble. The addition of the marinara makes it extra special and pairs perfectly with the Italian chicken sausage, kale, and garlic and herb butter. In other words, it’s completely delicious! With the busyness of school, life, and work, dinner planning is tough sometimes. It’s especially hard on nights that Jesse and I both get home at 8 p.m. On these nights, if we don’t have leftovers or something in the slow cooker, dinner is almost always a scramble. It’s fast, easy and always satisfies. Sometimes, due to similar reasons, I also make a scramble for myself at lunchtime and obviously, it’s a perfect breakfast too. Scrambles are so versatile! Melt the butter in a medium-sized skillet over medium heat. Add the sliced sausage and minced garlic, and saute a few minutes, until sausage is browned. Next, add the chopped kale and saute 30 seconds more. Then, beat the eggs together with the coconut milk, and add to the pan with the marinara. Stir and season to taste with pepper. 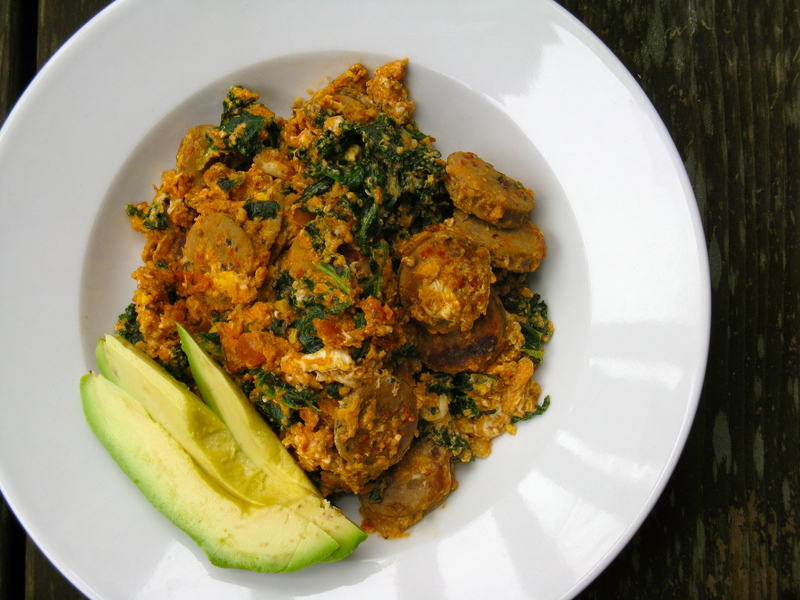 Continue to cook, stirring occasionally, until scramble is cooked through. Serve with sliced avocado, if desired.